Everest Base Camp Trek is one of the best trekking in the world. The Everest base camp trek also known as EBC trek is the classic Nepal trek through the Sherpa homeland of Namche Bazaar. It is moderate trekking with a clear goal of witnessing the world’s highest mountain, The Mount Everest. This trekking in Nepal is more of a cultural experience rather than a wilderness experience. Finally, Everest Base Camp trekking is a process rather than a destination. Everest trekkers avoid the hardest walking by flying in an out of the Lukla airstrip. If time and energy are abundant, you may drive to Jiri and start the Everest Base Camp through the lower Khumbu region. However, the mainly used way is flying in and out of Lukla to save time and energy. Your Everest Base camp trek starts after an adventurous and thrilling flight to Lukla (2,850 meters) from Kathmandu. The runway and the village are set on a small shelf halfway up the hill, and the surrounded Himalayan peaks seem to rise up rapidly to meet the descending aircraft. After landing in Lukla, trekkers immediately start ascending to Namche Bazaar and further trek across the upper Khumbu Valley, finally reaching the staggering height of 5,380 meters at Everest Base Camp. Further, trekkers hike to Kala Pattar (Black Rock in Nepali) for the incredible view of the Khumbu glacier cascading down, the broad snout of Everest, and Lhotse (8,516 meters). It looks like a wedding- cake fantasy of swirling snow and ice. First, you arrive in Nepal to start your Everest trekking. Ensure your trekking permits are already ready on the day of your arrival. You can request quality travel agents in Nepal and book your Everest trek in advance; they will do their best to provide you with the best EBC trek package. The next morning starts with a flight to Lukla. Lukla itself is an adventurous airport for landing and takeoffs. Straight away, trek to Phakding (3.5 hrs walk) the travel agent will arrange your accommodation in a normal teahouse in Phakding. For your information, as you are trekking to the rural part of Nepal, please do not have high expectation regarding the accommodation and amenities of these guesthouses. Moreover, trekking in Nepal is for an up close with the raw nature and interact with local peoples. Further, the next day trekking to Everest trail starts from Phakding and passes through a number of waterfalls. You can get a view of the wonderful peak of Thamserku (6,618m). Pass through Benker, Monjo, and Jorsale, crossing the entrance of the Everest National park. Moreover, the trail crosses the Dudh Koshi River on a suspension bridge above the river. Spend an overnight in a local lodge or teahouse in Namche Bazaar (3,440 meters). Likewise, you will spend the day at Namche Bazaar for acclimatization. Further, if you want, you can spend it just by relaxing and exploring Namche Bazaar or hike to Thami. 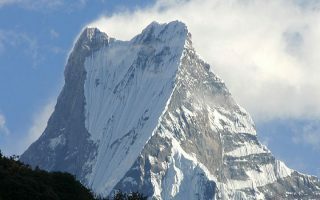 The next day, the target is to reach Tengboche. Glimpse astounding views of Himalayan Thar on the hillside below the trail early morning. Further, pass through several Gompas/Monasteries and schools trail until reaching Khumjung. After that, the trail goes eastwards down the Khumjung valley, passing picturesque Mani walls and Chortens. Spend overnight in local lodges or teahouse in Tengboche (3,440 meters). After a night in Tengboche, the next day six hours walk from Tengboche to Dingboche. To elaborate, from Tengboche, the trail passes through the forest of birches, conifers, and rhododendrons. You may spot Nepal national bird, Danphe (Species: the Himalayan Monal or Impeyan pheasant), which lives only in high altitude. High above you will begin to see goshawks, Himalayan griffons, and the golden eagle circling the mountains. Likewise, the next day is the free day at Dingboche. Spending a day in Dingboche will help to acclimatize, to the higher altitude. 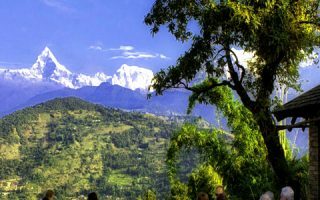 Instead of staying idle, climb a point, located behind the village and see six of the world’s tallest peaks including Lhotse, Makalu, and Cho Oyu. This is a supplement adventure during your Everest Base camp trekking. Consequently, you will also observe the Cholatse and Taboche peaks. Also, several more peaks rising above the Khumbu River Valley on our north-west. Among those peaks, the dominant peaks are Lobuche West, Lobuche East, and Lhotse. From another location on the ridge, admire the scenic Imja Khola Valley and the beautiful Dingboche village. After a day in Dingboche, trek to Lobuje (four-hour walk from Dingboche). Climbing up the steep terminal moraine of the Khumbu Glacier. On the following day of Everest trek, the first section of the trail from here follows the western side of the board, Khumbu Valley and ascends gently through meadows beside the glacial moraine. Further, a short descent onto the sandy, flat expanse of Gorak Shep. Then, the hike to Everest Base Camp is approximately a five-hour walk. Later, trek down to Gorak Shep (8 hrs walk). The next morning is nail-biting days of the efforts. This day will be a reward for your efforts that you have put. Continue, the hike to Kala Patthar meaning ‘Black Rock’, for the best view of Mount Everest. 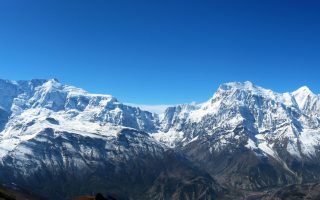 In addition, during the ascent to Kala Patthar, pause and catch some breath at several outstanding viewpoints from where click some of the great pictures. Furthermore, view the first rays of sunlight over Mt. Everest. Later trek down to Pheriche (7 hrs walk). The next day trek starts with the walk from Pheriche, and back to Namche Bazaar. It is mainly downhill while making our way through Tengboche. You will be in Namche by late afternoon and off to bed before our last day on the mountain. As we reach Lukla, the descent is a bit rough to the knees, but warmer climate offers an opportunity to finally shed down-filled jackets and woolen jumpers. Finally, the next early morning, transfer to the domestic airport in Lukla and fly back to Kathmandu. The amazing trek to Everest base camp is completed. We welcome you to this world-class trek in Nepal.